Vanessa Ionta Wright, local filmmaker, co-founder and Director of the Women in Horror Film Festival, and horror aficionado helps dish out a night of terror, alongside fellow Atlanta indie filmmakers, with a screening of her short film, RAINY SEASON (2017), during the first ever Attack of the Fifty Foot Film Fest! 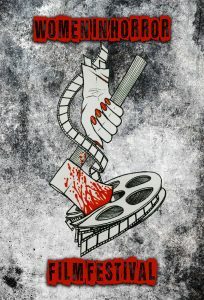 Hosted by HORROR HOTEL producer and Kool Kat Debbie Hess, the fest features quality shorts created by local filmmakers (HORROR HOTEL episode “Sleep Tight” by Kool Kat Ricky Hess et al; ATTACK OF THE FACE MELTERS co-directed by Blake K. Swell and Tyler Weddle; and MR. LOCKJAW PREQUEL: EPISODE ONE directed by Byron Erwin)! So if you’re looking for a bloody fangtastic time and want to chat it up with some killer local filmmakers, make your way to The Plaza Theatre on June 27 at 7pm! 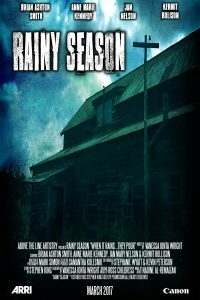 Wright, both writer and director of RAINY SEASON received full authorization by the King of Horror himself, Stephen King, to adapt his short story, “Rainy Season,” (first published in the Spring 1989 issue of MIDNIGHT GRAFFITI), into a live-action piece of bloody art, for the sole purpose of screening at film festivals in 2015. By way of King’s Dollar Babies program, Wright invested her blood, sweat and tears along with her WIHFF co-founder and Executive Producer Samantha Kolesnik and they are excited to bring the film to Atlanta’s horror film-loving audience! 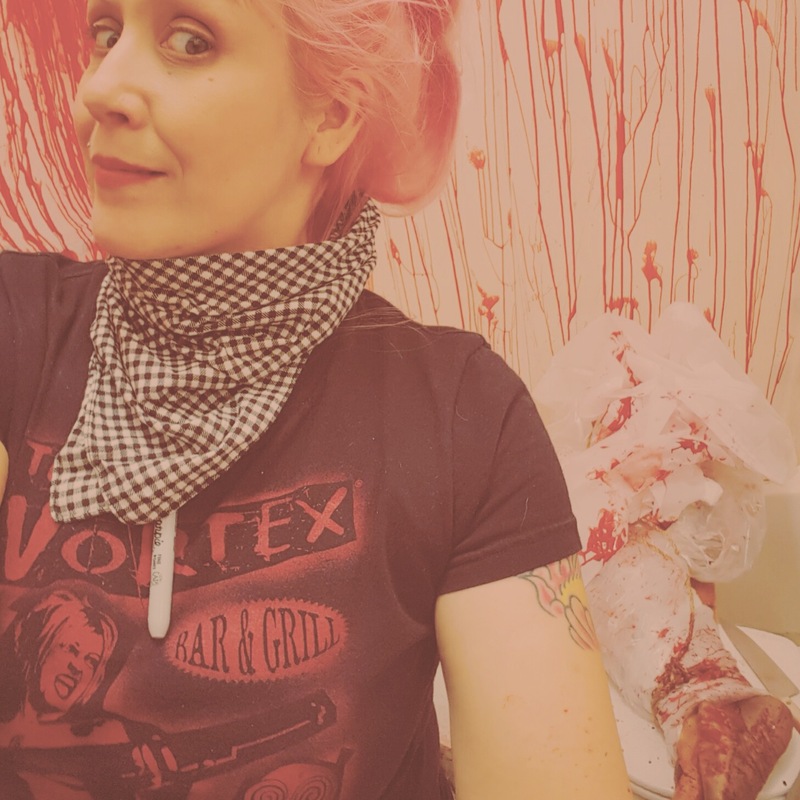 ATLRetro caught up with Vanessa to chat about her film, the Attack of the Fifty Foot Film Fest, women in genre filmmaking and her upcoming Women in Horror Film Festival. While you’re takin’ a gander at our little Q&A, why not take a peek at RAINY SEASON’s official 2017 trailer, here. ATLRetro: Attack of the 50 Foot Film Fest! Sounds exciting and right up ATLRetro’s alley! Can you tell us a little about the event, what inspired it, and how you got involved? Vanessa Ionta Wright: The organizer of the event, Debbie Hess, wanted to put together a ‘mini’ fest of horror/sci-fi/suspense themed films produced by local Atlanta filmmakers that were either world premiere films or first time in Atlanta proper premieres. 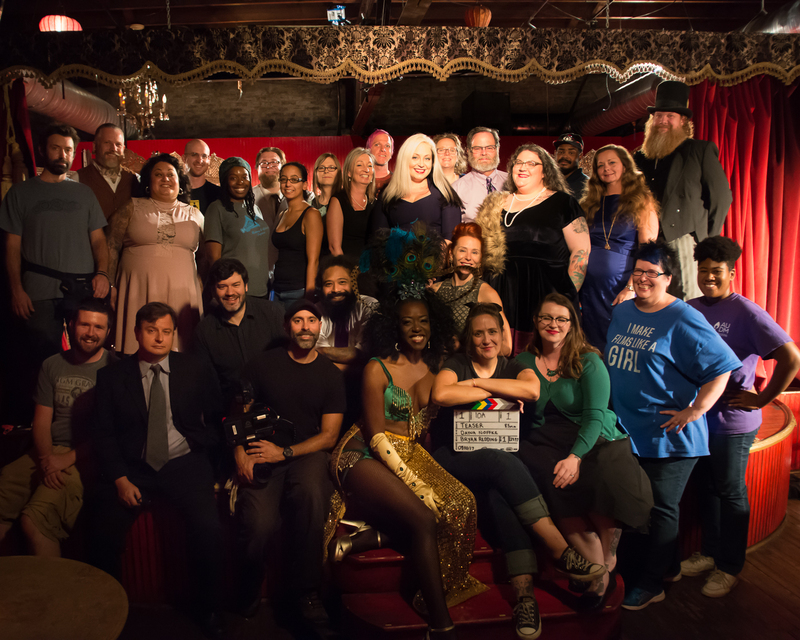 She wanted to curate a selection of quality indie films that would showcase and celebrate the talent and production capabilities of Atlanta filmmakers themselves. 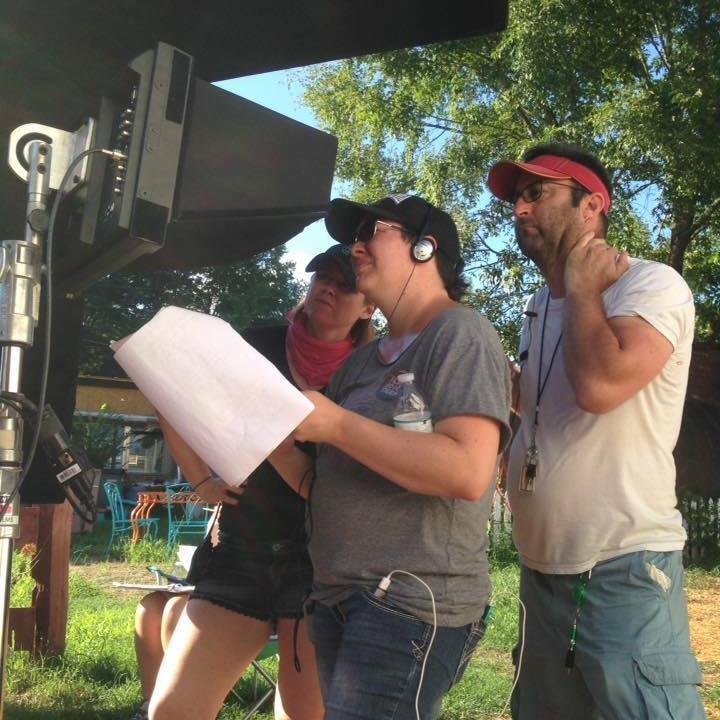 The world knows Atlanta as a premium destination for studio filmmaking with big budgets but Atlanta also has some excellent and creative filmmakers right here that can deliver the goods on an indie level as well. Collaborating with multiple filmmakers made it feasible to bring these short films to the big screen. The Plaza Theatre seemed the perfect venue with its historic background for such films. She put out a call to submit films for consideration. RAINY SEASON was a good fit. Care to share a little about the other featured films and their directors? I haven’t personally met any of them yet, but am very much looking forward to it, as well as seeing their films. Here is all the information I was able to gather with my spy skills: The Hesses (Ricky, Al and Debbie) produce the HORROR HOTEL series filmed in Atlanta. Ricky is the creator and primary director of the series with the first season streaming on Hulu, an anthology feature film of the 2nd season episodes which are available on Amazon Prime and coming soon to DirectTV. Their festival film, “Sleep Tight” is the pilot episode of the 3rd season and promises to creep it up with attack bed bugs! ATTACK OF THE FACE MELTERS, written by Blake K. Swell and co-directed by Tyler Weddle and Swell, features Jack, a lovable comic geek that enjoys his comics more than his girlfriend. Life takes a turn when Jack’s comic book comes to life. And LOCKJAW PREQUEL: Episode One, directed by Byron Conrad Erwin, written by Justin Craig, features a ventriloquist with mundane aspirations of becoming a children’s entertainer who becomes subject to his dummy’s more sinister desire: interrogating and torturing criminals for the mob. We’re excited to see that your short film RAINY SEASON, adapted from Stephen King’s short story will be screening at the fest. Can you tell us a little about the film and the making of? 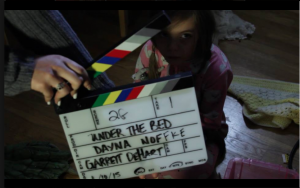 Any interesting or crazy tales to tell about filming your short? 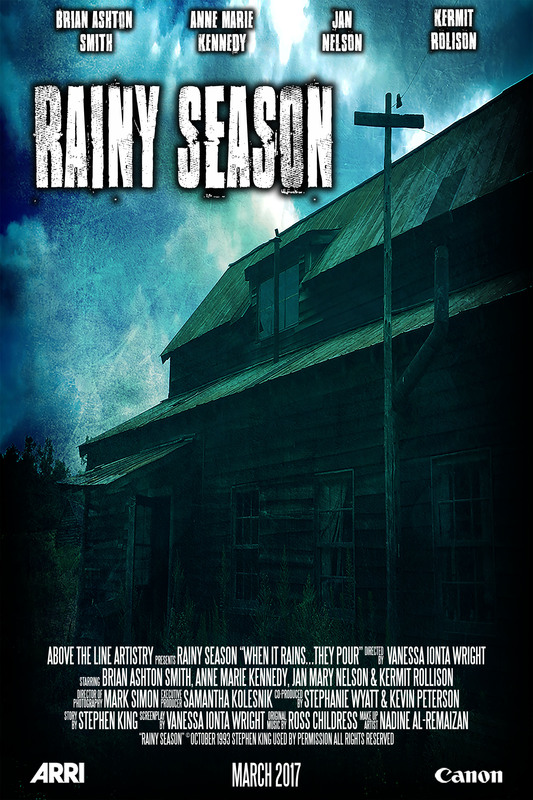 met Executive Producer Samantha Kolesnik at a film festival in Los Angeles and she was in the process of having her short film THE PRICE OF BONES (2016) produced and wanted to be more involved with production, so I asked if she wanted to jump on board RAINY SEASON. She went from “Sure, I’ll help out,” to Executive Producer. This film would not have happened without her. 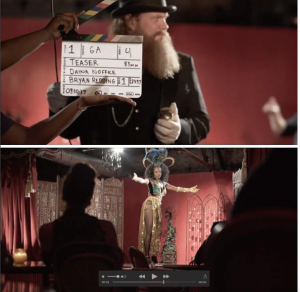 I then reached out to Director of Photography Mark Simon and was honored that he wanted to be a part of this project. Working alongside John Hughes, Mark began his career on some of the most iconic films in history (SIXTEEN CANDLES, THE BREAKFAST CLUB, FERRIS BUELLER’S DAY OFF). We were so lucky to be working with so many talents in this industry. One of our biggest challenges, being on such a tight and small budget, was the fact that our set had no electricity or running water and we were shooting nights in an isolated location during the hottest days of August. Thank goodness for generators, port-a-potties and a healthy respect for bats. And how cool that your adaptation is fully authorized by King. Can you tell us a little about that process and how long it took for you to get King’s blessing? This wasn’t as daunting as I thought it might be. The process was fairly simple. “Rainy Season” is part of King’s Dollar Babies Program, which allows aspiring filmmakers to secure the non-exclusive rights to his work and adapt it for the screen. I looked at the list of available stories and filled out an application and waited. Two weeks went by and I received an email granting me permission to adapt the story. I signed the contract and mailed my dollar bill to the “Master of Horror.” The completed film can in no way make a profit or be distributed. It is for festival use only. So many people have asked, “Why on earth would you make a film that can’t be distributed or make any money?” I look at this film as a very expensive resume. I felt like this film could be a great opportunity for everyone involved to take the next step. Plus it doesn’t hurt to have Stephen King’s name on your film. 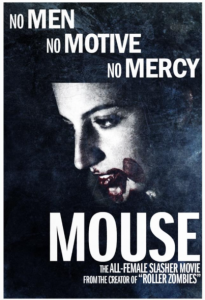 Are there any other horror stories you’d like to adapt to film, those that have yet to hit the big screen? I am always late to the party when it comes to reading. Generally, I’ll read a book and think, “That would make an awesome film!” and then I look it up and it’s already been done. I also read a lot of older books…I might need some book recommendations on new horror releases. Can you tell our readers what drew you to filmmaking and which filmmakers would you say inspired you most? I don’t know that I have faced any challenges in the industry due to being a woman. 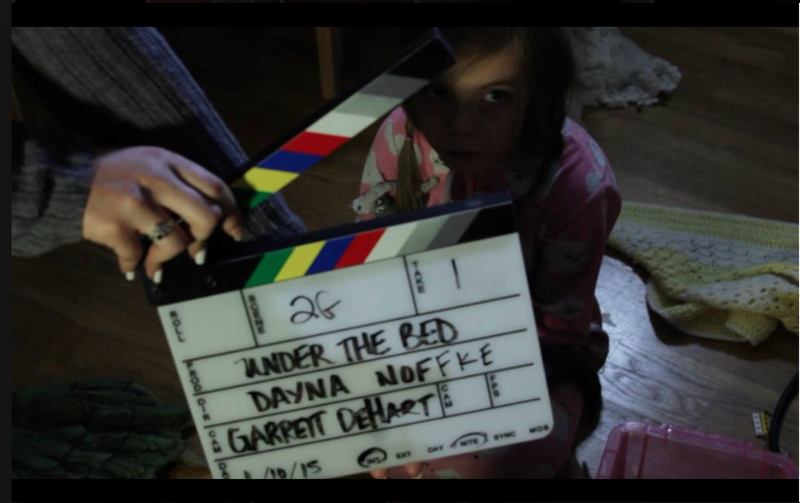 I think the challenges I have faced are common to all independent filmmakers regardless of gender. There is an audience for every film and I think as filmmakers we are all trying to find the most effective route to get our films in front of those audiences. Filmmaking is expensive, time consuming and extremely competitive. I think for years this industry has been dominated by men at the top, but we are seeing more and more women in these top creative and executive roles. And I certainly don’t think that I, or any other woman, should be given opportunities simply based on our gender. If I get hired as a director it should be because I am the best director for the job, not because I’m a good female director. 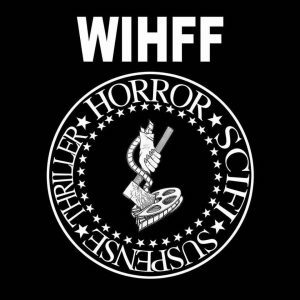 It seems that little by little, women are finally getting the attention they deserve when it comes to film, especially within the horror genre, which brings us to your Women in Horror Film Festival coming up in September. Can you give us a sneak peek into that venture and why you think it’s important that these types of events take place? Samantha Kolesnik and I are very excited to be bringing this event to the Atlanta area. As genre filmmakers, we have noticed an unbalanced representation of women at horror film festivals and at the box office. We decided to create a platform to showcase female genre filmmakers and screenwriters. Not to create a women only event, but to promote those women who are currently creating films and screenplays and to get them noticed in an otherwise saturated market. We are striving for more equality in the industry, a balanced representation of talented filmmakers and writers. 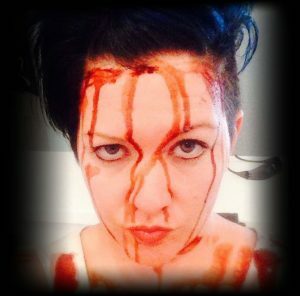 We are very excited to be welcoming some very special guests to the event that many horror fans will recognize: Heather Langenkamp, Amanda Wyss, Jen and Sylvia Soska, Horror Producer Marianne Maddalena, Lynn Lowry, Horror authors Mylo Carbia and Meg Hafdahl and famed zombie from AMC’s THE WALKING DEAD, Sonya Thompson. These trailblazing women have been hugely supportive of what Samantha and I have created and we’re thrilled to be working alongside them. The festival will be accepting submissions through July 15, 2017, and the fest will take place September 21-24, 2017, at the Crowne Plaza Hotel & Conference Center in Peachtree City, just down the street from Pinewood Atlanta Studios and Raleigh Studios, home of THE WALKING DEAD. Your readers can go here for more information. Who are your favorite women horror directors and why? Can you give us five things you’re into at the moment that we should be watching right now— past or present, well-known or obscure? I love lists! I’m limited to only 5?! WATCHING: THE KEEPERS (Netflix Docuseries); MAKING A MURDERER (Netflix Docuseries); submissions for WIHFF – even though Sam and I are not judging the work, we are watching and enjoying all of the films, so that has been taking up a lot of my screen time; and some of my all time favorite films and TV shows in no particular order: RUSHMORE (Anderson), RAISING ARIZONA (Cohen Bros), HALLOWEEN (Carpenter), PSYCHO (Hitchcock), PULP FICTION (Tarantino), GOODFELLAS (Scorsese), A BRONX TALE (DeNiro), BACK TO THE FUTURE (Zemeckis), SLING BLADE (Thorton), ROCKY (Stallone), DIE HARD (McTierman), ALIEN (Scott). Series that I love and have loved: THE WALKING DEAD, HEROES, BREAKING BAD, FRIDAY THE 13th the Series, AMAZING STORIES, STRANGER THINGS, GREATEST AMERICAN HERO, V, THE TWILIGHT ZONE, DARK SHADOWS, etc. There are so many more that I will remember after this is printed! This advice is for all filmmakers. Get out there and make your films. Find good talented people to work and collaborate with and get your film made. There are so many resources for funding now. Get your hands on a good script or write one yourself and do it. There is no career in film without the film. And surround yourself with good, creative, talented people. You never know who you might meet, so network like crazy. Go to film festivals, get involved with the local indie film scene, and offer to help out on set even if you don’t get paid. Favors get repaid, so support each other, and treat your cast/crew with respect and kindness. 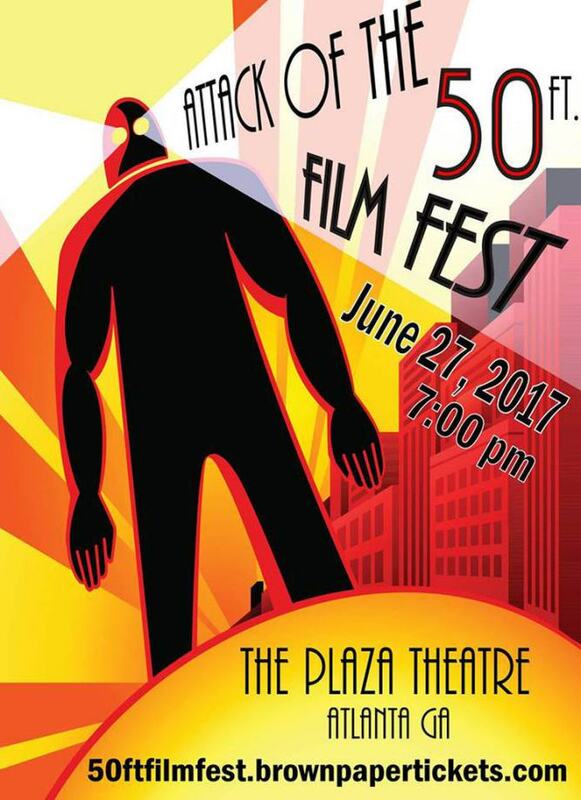 Getting back to what brought us here, Attack of the 50 Foot Film Fest! Anything exciting planned for fest-goers? Can we expect this to be an annual event, something we all can look forward to in years to come? I’m not sure if this will become an annual event, but I do hope so! I love that Debbie Hess is giving an opportunity to local filmmakers to screen their films. This is about sharing our work. It’s not a competition and we are all there to cheer each other on and give audiences a chance to see some films they might not otherwise have the opportunity to see. And the Plaza is just a super cool venue, so much history there! Friends, fans and moviegoers will have the chance to meet the filmmakers and even the cast of some of these films, which is pretty exciting in my book. And last but not least, what’s next for Vanessa Ionta Wright? Any other films in the works we should know about? Right now I am enjoying the RAINY SEASON ride. It’s currently hitting festivals and I want to enjoy the success of the film before I jump into the next one. 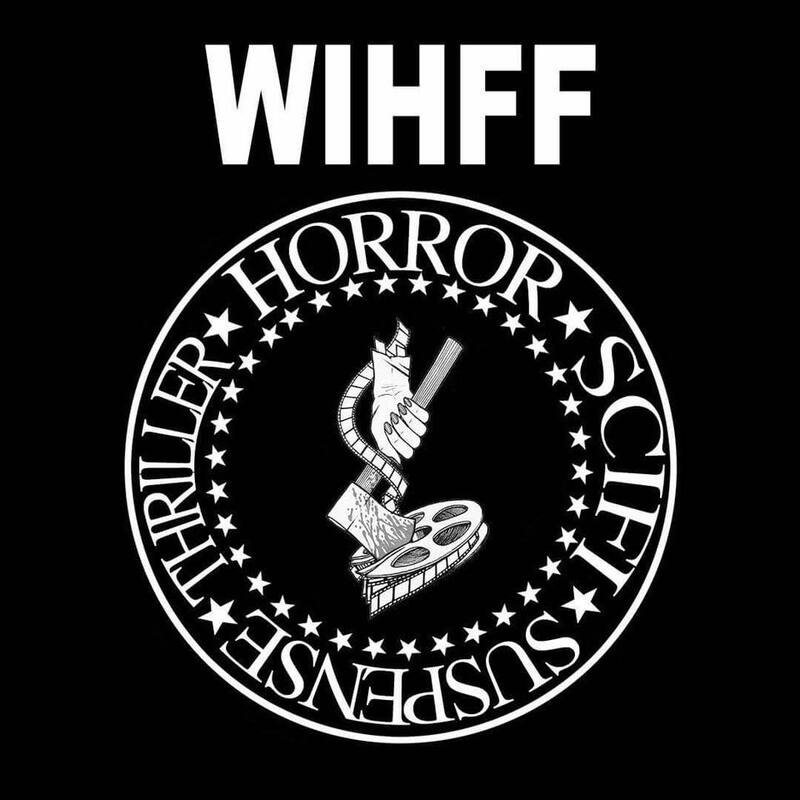 And WIHFF is keeping me pretty busy as it’s the first year! My plan is hopefully direct a feature in the next year or two so Samantha Kolesnik and I have been making a plan to make that happen. We are actually currently working on a screenplay together, which I am very excited about. 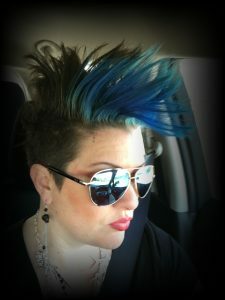 I will be at the Attack of the 50ft Film Fest so please be sure to stop by and say hi, I love meeting people! All photos courtesy of Vanessa Ionta Wright and used with permission.